Read our intro to Daily Fantasy Sports below — or head straight to our FAQs for more detailed info. So what is Daily Fantasy Sports (DFS)? DFS is a new spin on the season-long fantasy games you already know. 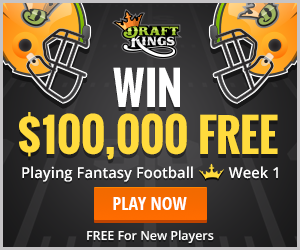 Instead of joining a league and playing for an entire season as with traditional fantasy, DFS takes place over the course of only one day, or in the case of football, several days. You simply register for a tournament based on the buy-in you select, draft a new team and get ready to face off against everyone else who joined. If your team does well you can win huge prizes that are paid out instantly as soon as the last game that day is completed. And the fun part? You can do it all over again the next day with an entirely new team. Not only that, if you don’t want to play the next day, that’s fine too. DFS allows you to decide when you want to play and when you want to sit out – no need to maintain a lineup each and every day as with traditional season-long fantasy. Sites offer a variety of sports to play including Football, Baseball, Basketball, College Football, Hockey, Golf and Soccer so there’s a little bit of action for everybody. Whether you follow these sports closely and use that information to draft your teams or you just want to take a minute to draft a team and have some fun watching the games, DFS is a great way to add some excitement (and potentially some profit) to your sports watching routine. Now that we’ve cleared that up – head over to our FAQ page to learn everything else here is to know about Daily Fantasy Sports in one quick read-through. – Get 100% First Deposit Bonus up to $200. - Get Free Entry Into a Paid Tournament. Keep In Touch and Stay Informed!